In food processor or large bowl, mix eggs and sweetener until well combined. 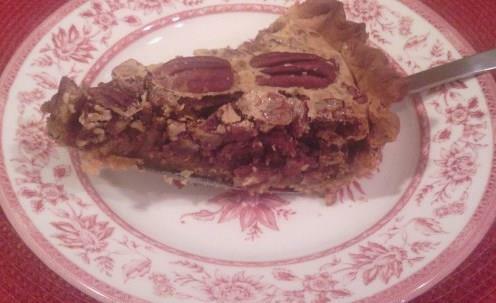 Add remaining ingredients except pecans and mix until well combined. 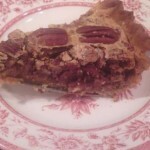 In pie plate, evenly spread all of the chopped pecans. Carefully pour pie filling over pecans. Cover pie crust edges with foil or pie crust protector to prevent crust from burning and bake 35 minutes. Remove from oven, remove foil and cool. Once cooled, slice and enjoy!